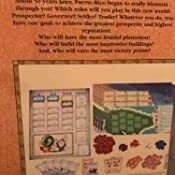 Amazon's Choice for "puerto rico"
1.0 out of 5 starsEnslavment and colonization in a fun game! I saw the great reviews so I purchased for my boyfriend, who is Puerto Rican. I was excited to give him a game about his home! Then I received the game and the very first sentence references Christopher Columbus. It goes downhill from there discussing how plantation owners and settlers “better” the lands. So basically a game about enslaving and colonization of his home land. No thanks! 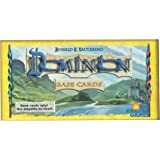 Being fans of The Settlers of Catan, Power Grid, and Ticket to Ride, we enjoy this game as well. However, this is a game with far more intricate strategy. It's also a game requiring more time, both to play and to set up. Puerto Rico has a variety of ways in which to play. You can produce a lot of goods, build a lot of buildings, etc. Each way provides a different tactic to victory. It will take several tries before you find a tactic that works to your liking. And much of you choice of path will be dictated by your opponents' paths. Not every building, for example, is available in sufficient quantity for everyone to buy. 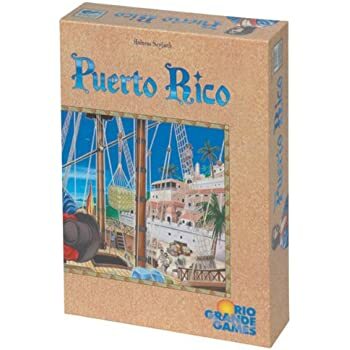 Puerto Rico also has far more pieces than other similar titles. Lots of setup is required, probably about twice what a game of Settlers requires, and far more than for a game of Ticket. Puerto Rico, for good or bad depending on your preferences, is also a fairly long game to play. As part of the variety of strategies I mentioned above, each round and player's turn tends to involve some thought. As such, particularly if you play with people who like to take their time, this can extend a single game well past the hour mark. I think we typically run about an hour and a half. 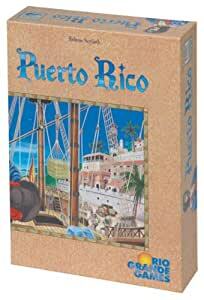 So if you like a more involved game, this is good, if you like a quick game (like I think Ticket is), then Puerto Rico (with its set up and play time) might be too long. We enjoy playing this game as a family with our teen and twenty-something children. It teaches the results of economic choices and is a good balance of strategy and chance. Some might be offended that the "colonists" are brown and work on the plantations, but they also teach in the university and everything in between. The people have the opportunity to participate in every aspect of the economy. 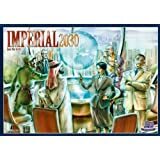 I'm an avid board game collector, and this is still one of my favorites. There is very little luck involved, as everything is open knowledge and there are no dice involved. There are also many different strategies, all of which are valid and can win you the game. It's also hard to "gang up" on someone, which keeps everyone happy. 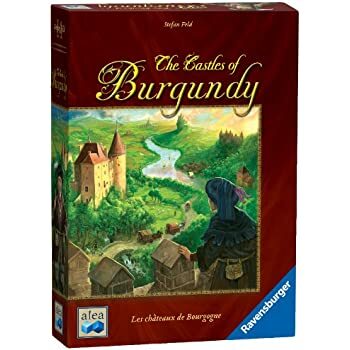 I'd highly recommend this game to anyone, whether you're just getting into deeper strategy board games, or if you're an avid board gamer. 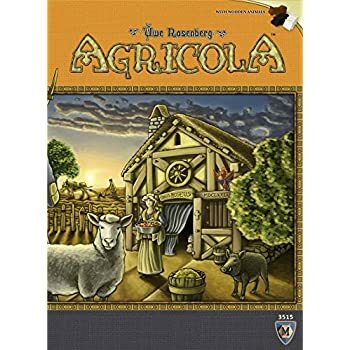 I love board games and have been addicted to Agricola for over a year. I did not think I could find a game that meets or even surpasses the enjoyment I experience from Agricola. 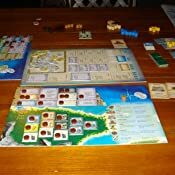 Puerto Rico certainly gives Agricola a run for her money and surpasses it, in my opinion. My kids, ages 9 and 11, were able to pick up the game very quickly with me. The gameplay is so fluid and allows for so many winning strategies. 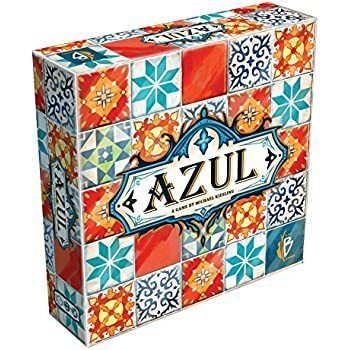 I purchased this game trying to teach my daughter of her Puerto Rican heritage. I was thinking it celebrated the island of Puerto Rico and it's culture. 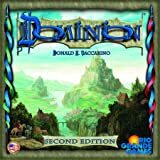 I was shocked to find that it is a game about pillaging Puerto Rico and exploiting it's people and resources. Amazon should be more aware of the culturally insensitive products that they are selling. If I could I would have given it 0 stars. It is going back! 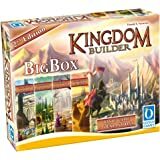 would do a reprint (because this is a timeless classic now) with FULL board that includes all the roles, buildings, ships, wharf, trade house, etc instead of cards around medium box boards. Still like the player boards and only wish they were thicker cardboard. 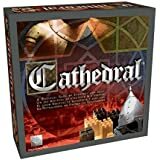 This game is such a classic game with truly interesting replays every time I would love to be able to buy it, even at a higher price point, with the quality of components it deserves. 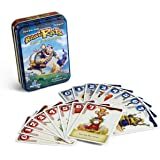 (I would also love to have a high quality board game version of Race for the Galaxy in the same way). 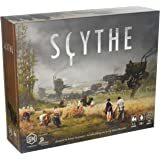 We got this game for Christmas after seeing how well it was rated. When we first opened the box, we were kind of shocked by how in depth the instructions were. It took us almost 2 hours to get through the game for the first time. That was mostly from pausing to read almost every turn and trying to develop a strategy as we went. 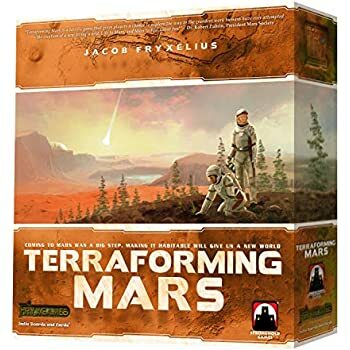 The first game probably only warranted a 4 star rating, but the next day we played it again. It went a lot faster and was a lot more fun. Each time since then has been a 5 star play. If you can play with an experienced player your first time, you'll enjoy it a lot more. 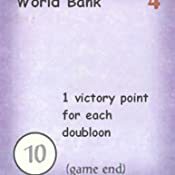 The premise of the game is to earn coins by planting crops, building buildings to help with the crops, and loading the harvest onto ships (which earns money). 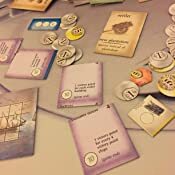 The game is played in rounds with all players choosing an action each round and the starting position changing with each round. It ends when all of the people are gone, all the money is owned, or all of the building spots for one player are filled. This typically takes 45 minutes to an hour (except for the first time the game is played). This can be a great party game, so long as someone knows what they are doing. I recommend this to families, young adults, and even children. My 6 year old daughter picked it up with ease, once I knew what i was doing well enough to teach her, and various friends of ours enjoy the game as well. 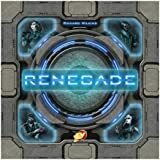 Lots of fun and high replay value.